I have been seeing several bacterial/ulcer cases, but with the correct diagnosis and course of treatments it isn't necessarily a fatal condition. 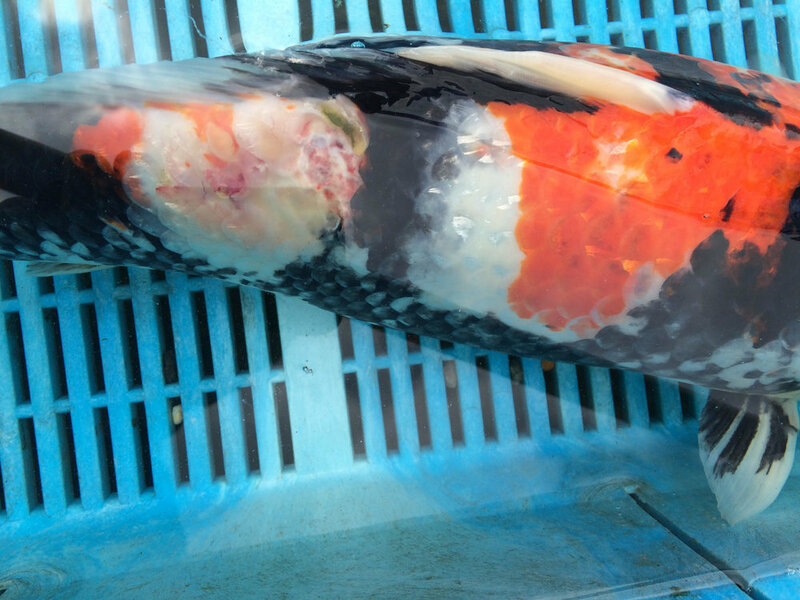 Costia Ichtyobo is a common, yet very deadly parasite of koi or any other freshwater fish, and can be particularly difficult to diagnose due to its small size. Without the aid of my microscope here, it would have been difficult to tell that this Hariwake koi was so riddled! Gyrodactylus is one of the more common types of worm like parasites affecting koi, and come in forms affecting the skin or gills. Here we have a skin fluke. This tiny disc shaped parasite is only visible under the microscope and feeds on the natural mucus surrounding the fish. With a major infestation, this can lead to secondary infections causing your fish to become lethargic, stop feeding and remain stationary at the bottom of the pond.